Derived from microbially digested chicken manure. Soil treatment which stimulates rooting, plant vigor, and soil microbial activity. Provides easily absorbable trace elements. Can be used in USDA certified organic systems with restrictions. 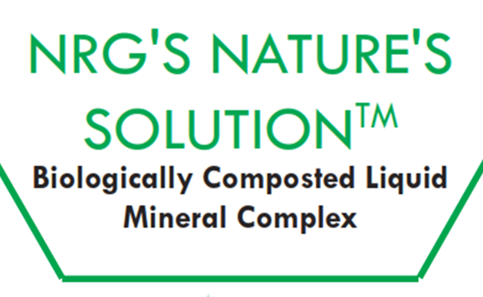 Why Use NRG's Nature's Solution? We call this product our one true “snake oil”; it affects plant growth far more than the nutrient analysis would indicate. Nature’s Solution is classified as a “manure” product under the NOP rules, and is thus subject to the restriction that it must be used at least 90-120 days before harvest of edible crops (crops meant for human consumption).